After 100 days on hunger strike 4 of the 5 Jordanian hunger strikers suspended their strike after the Israeli prison service agreed to allow family visits for the first time. Some of them have not been allowed to see their families for 13 years. Two months later however, Israels have reneged on the deal with not a single prisoner being allowed to their family. The father of Jordanian prisoner Abdullah Al-Barghouti is in critical condition in hospital with only one wish – to see his son before he dies. The Jordanian government for its part have been complicit with Israel in not persuing the rights of its citizens. So tha families have been left in limbo, their hoope now rests with the sole remaining Jordanian hunger striker Alaa Hammad. With Israel restricting information on Alaa Hammad. most of what we know is two months old. At the time Alaa Hammad had already lost around 30kg in weight whilst others had lost their ability to walk and were confined to wheelchairs. It was a torturous 100 days with the Israeli prison service putting immense pressure on the men to stop their strikes. Mohammad Al-Rimawi, who suffers from a heart disorder where sometimes his heart beat is 125 and sometimes it drops to 50 beats per minute, was denied his medicine by the Israeli Prison Service until he agreed to stop his hunger strike. The day before he stopped – on his 99th day without food – on the eve of Eid, 5 soldiers shackled his hands and legs and threw him from his hospital bed to the ground and began savagely beating him with not a single Israeli doctor or nurse coming to his defense. The officers told Mohammad Al-Rimawi that they can treat him with violence and force with impunity because of lack of international attention on him and in particular Jordan who will not lift a finger to help him. Two weeks before on 26th June 2013 the Israeli guards had brutally attacked Abdullah Al-Barghouti, again whilst he was in hospital – they dragged him from his hospital bed to the concrete floor and kicked him in the face leaving him bleeding. When a lawyer visited him on 7th August his condition remained critical, with problems with his liver, low blood pressure and constant migraines. Unable to walk, he is left shackled to his bed with threats of force feeding should he fall into a coma. Under these conditions it was a miracle that the other prisoners managed 100 days of hunger strike. That in itself was their victory. The defeat was ours – the prisoners gave activists around the world 100 days to mobilize and pressure the Jordanian government in to action.. but we failed them. The hunger strikers confirmed this saying that lack of international attention was the primary reason why the hunger strikes ended. Now the only Jordain prisoner still on hunger strike is Ala’ Hammad and his condition is very precarious. On 5 August Hammad fainted and remained unconscious for five hours, ignored by the Israeli doctors. After finally receiving treatment Hammad regained consciousness. One of the 26 is the child prisoner Mohammad Mahdi Saleh Suleiman. Now 17 years old he was been caged for over 6 months all ready, he is the youngest Jordanian in an Israeli prison. He has been severely tortured at Al Jalame – the notorious Israeli children’s dungeon. One of the missing 21 Jordanians is Laith Al-Kinani, he has been missing for 6 years. Mohammed Mahdi’s father and Laith’s parents have protested everyday for the last three months in front of the Jordanian Parliament and Royal Palace with no response from the government. There have been over 90 demonstrations in Jordan by the families of the prisoners – elderly mothers standing in the burning sun, at several protests each day! Even a 22km solidarity march from one city to another.. All of this falling on deaf ears with the Jordanian government shamefully abandoning the prisoners and according to some accounts even pressuring the prisoners to give up their hunger strike. Terrified by the iron will of the families and friends of the hunger strikers to relentlessly carry on protesting everyday and the support and respect they garner in wider society and the resulting momentum building up to end the states total submission to every whim of the Zionist enemy, the Jordanian security services have come down very hard on the protesting families. Family members have been threatened with arrest if they persist to champion their loved ones in Israeli dungeons. They dragged away a 16 year old boy, a nephew of one of the hunger strikes, to prison and locked him up for 3 days – his crime was to hand out a leaflet about his uncles’ imprisonment in an Israeli prison. On another occasion, wearing military camouflage uniforms that have never seen service on the enemy front line, the security forces with batons drawn, attacked a peaceful protest with plain cloths security service personnel cowardly targeting hunger striker Muneer Meree’s brother, assaulting him before disappearing back behind the uniform lines. Its with this backdrop of intimidation, that we made contact with activists in Jordan. The families and campaigners in Jordan courageously, at great personal risk to themselves, asked us to help internationalise the campaign by protesting in solidarity with them in London. 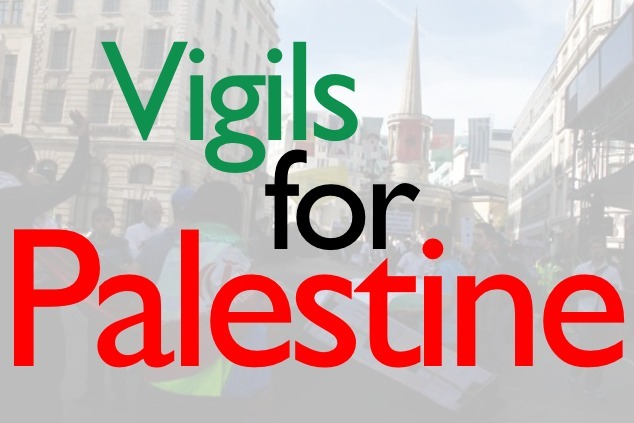 This will be the fifth London protest for teh Jordanian prisoners in Israeli prisons. On 11th October we will protest outside the Jordan International Bank in Knightsbridge, which is partly owned by the Jordanian government. We will protest in solidarity with Ala’ Hammad’s continued hunger strike, and for the child prisoner Mohammad Mehdi Saleh Suleiman and for the missing son Laith Al-Kinani and for the release of all the Palestinian prisoners. Lets not fail them, please join us.